My environmental consciousness was first pricked by ‘Limits to Growth’ published in 1972. I was at University in Edinburgh at the time and was startled that Malthusian doomsday scenarios were being talked about just as I was about to embark on my fledgling career as a town planner. How dare they I thought. Back then it was mineral resources such as oil and precious metals that we were told we were in danger of running out of. But that scare seemed to have passed in part because of the ingenuity of industry to find new materials and energy sources to replace them. With the current scare around ‘rare earths’, perhaps our complacency on this score is no longer justified. Perhaps Limits to Growth needs to be picked off the bookshelf, dusted down and re-examined. But unlike the thinking in the 1970s, rather quickly we have moved into a position of what is now in short supply are the renewable resources that we can’t do without, and for which there are no substitutes: fresh water, soil, biodiversity including fisheries and an atmosphere that can soak up our pollution. In time, these ‘renewable’ resources would replenish themselves, but we’re putting so much pressure on the systems that produce them that the supply is drying up. We are eating up the capital stock instead of living on the interest. Calculating this pressure on the Earth’s systems is now becoming a widely accepted practice, be that through planetary boundaries, adding up parts per million of greenhouse gases in the atmosphere or through more communicative methods like the Ecological Footprint. While the Footprint has its critics, the fact is that it is a wonderfully rich and graphic tool for getting across the message of ecological deficits and the over-consumption of our planet. 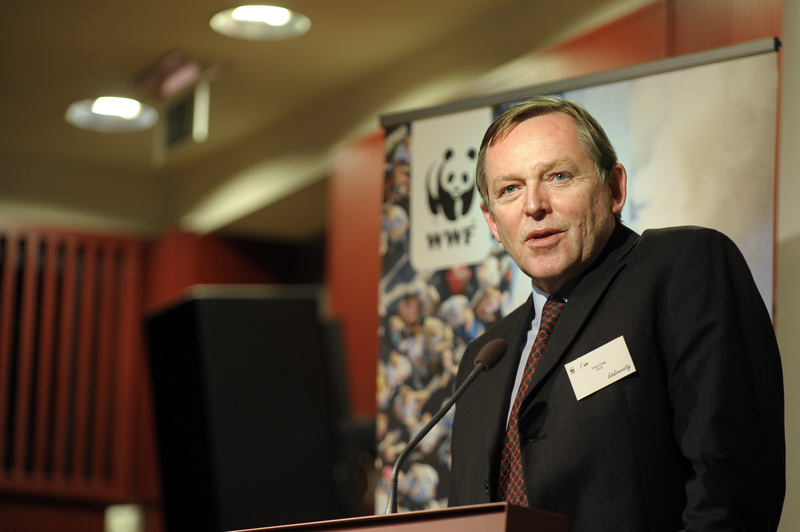 The power and simplicity of the Ecological Footprint’s communication potential is why WWF has used it since 1998 in our biennial Living Planet Report series and why I am proud to serve as a European member on the Board of the Global Footprint Network. Using these footprint calculations, it is a sad and depressing fact that we have just passed though Europe’s Ecological Debt Day which fell largely unremarked this year on May 21st 2011. Like this back account analogy above, this is the point in the year that everyone in Europe began to live off nature’s capital, rather than its interest. Globally we have another 70 or so days before the world, not just Europe, goes into overshoot. While the Ecological Footprint science behind this calculation may be complex, it’s not so complicated to understand why this is happening. We travel more than ever before, eat food that is unseasonal and far from local, heat and power our homes from largely unsustainable sources and all the time allow enormous wastage of energy from our buildings stock as if it had no value, no price. So just how far are we “locked in” to unsustainable consumption patterns as Professor Tim Jackson at the University of Surrey in the UK asks? If we are locked in, can we unfreeze ourselves or release ourselves from this grip? How do we engineer a better world where we all thrive within the limits of one planet? This is precisely the debate that the One Planet Economy Network has started. We need all our creative thinking and engagement if we are going to make this transition as smooth and as painless as possible for all of life. Clearly a change is needed if we are going to prevent runaway global climate change, prevent ecosystem collapse and rectify huge nutrient imbalances. While the exact goal in terms of greenhouse gas reduction, or ecosystem services, or planetary boundaries or Ecological Footprint etc can be defined in this or that way, the direction is clear – an increase in eco-efficiency of 3-5 times (equivalent to a 70-90% cut in current impact levels) by 2050. Achieving a 4% reduction in our environmental impact year on year is technically feasible, but it will require a very strong political commitment. In a free market liberal economy, with a public sector deficit, a fragmented political culture, and rising consumer expectations, it is going to be very challenging indeed. There are signs of hope, but much more needs to be done. Many governments around the world are now looking at ‘Green New Deal,’ ‘Green Growth’, ‘Green Economy’ and ‘Resource Efficiency’ concepts. Some of this is undoubtedly political window dressing, others like green growth are simply oxymoronic. But these are first signs that some recognition of planetary limits may be sneaking onto the political agenda at last. It is interesting that those countries which are most actively exploring the Greening Economy concepts include countries like South Korea who have committed up to 70% as ‘low carbon stimulus’ and the emerging economies like China and Brazil where the resource scarcities are coming smack bang up against the headlong rush for economic growth. The electorate in Europe should be demanding from our governments if we are taking these concepts of resilience against resource shocks as seriously as other countries appear to be doing. I fear not. This is the time to be political in the sense of using the political levers and processes to hold our governance systems to account – our politicians, our civil servants, our business leaders. We must let the political classes know that we are ready for this transformation to a sustainable future. We must be absolutely persistent in asking the right questions of our elected representatives and choosing those who are prepared to follow through with this sustainable transistion. The future may be uncertain, the challenge may be daunting, but the alternatives are thin on the ground. Rising to the One Planet Economy challenge is the goal for this generation – delaying any longer is not an option. Over to us now – there is no where else to turn.